Dianna Hammond | DRTV Talent. Direct response television talent. Female and male talent for your direct response tv campaigns. Her television/entertainment career started in Perth, Western Australia where she was Weather Host, presenter of the live 2 hour Super Flying Fun Show, and entertainer on Junior World. Since those early years, Dianna has travelled an incredible journey. Aside of presenting for TVSN, News Australia appearances on Today Show, Mike Walsh Show, It’s Country Today, Reg Lindsay Show and Good Morning Australia she has acted in Prisoner and Home & Away. Her commercial/advertorial clients include: Crown Plaza Hotels, Princeton Securities, Orthaheel Orthotics & Budget Direct Insurance. 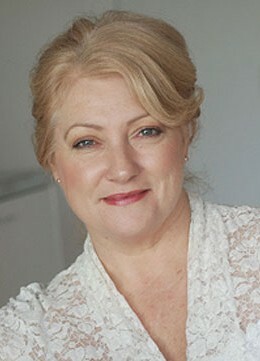 Dianna enjoyed her cooking shows on TVSN so much she undertook the TAFE Chefs course – Commercial Cookery. 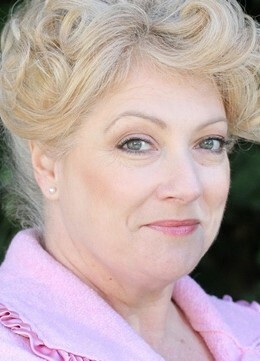 Having already studied drama, voice, piano and guitar, she added Interior Décor Certificate, Landscape Gardening, Business – Diploma Export Management (Uni NSW) and Computers – Media Design. She has an Australian, no-nonsense, natural, believable presenting style and strong, determined voice and presentation, but equally gentle and caring for the appropriate product and a great sense of humour. Dianna is quite the dichotomy! On the one hand she is entrepreneurial, ideas!, energetic, big picture, savvy business woman (“from Dad” she says,) but conversely loves nothing more than sewing, craft, cooking, gardening, home decorating & renovating, pets and reading. (“from Mum”) She is organised and computer literate in Word, Excel, Power Point, Internet and Email, I DVD, Photoshop, I Movies, I Music. Her interests also include real estate, business and foreign culture. After husband Rob, next in line – love of her life is her pet Westie Terrier Lilli (Wookie) as well as three teenage daughters. The OTHER side of Dianna’s career started back in those early days of Channel Nine in Perth where she was in great demand for performances at state events, private functions, clubs and on tour. Internationally, Dianna has experienced an extraordinary life as an Advance Australian Ambassador, for her promotion of Australia around the world. She has represented Australia in more than 26 countries throughout Asia, Europe, The Pacific, Middle East & U.S.A., as organiser, MC presenter and performer at International events for Australian Embassies, Qantas and Emirates Airlines, Fosters, Sheraton, Hilton, Inter-Continental and Raffles Hotels, AUSTRADE, Australian Tourist Commission, Australian Dairy Corporation, Meat & Livestock Australia, Australian Dept of Foreign Affairs, and other Australian Exporters. In Australia Dianna has performed in all capital cities at Corporate & Government Events, & Clubs and has toured rural and outback Australia, the Pilbarra & Kimberley. Dianna has been Support Artist to: The Everly Brothers, Gene Pitney, Sir Harry Secombe, The Shadows, Phyliss Diller, Slim Dusty.